The Incomers and The Sun Song Trilogy have many topics suitable for discussion in schools. 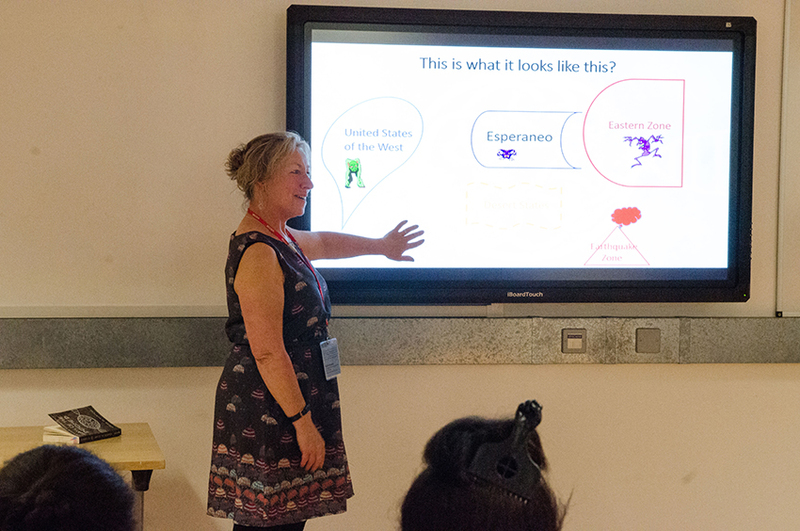 My talks and workshops are designed for Key Stage 3 and 4 of the Curriculum for England, Wales and Northern Ireland and to the Curriculum for Excellence in Scotland. Here is what some schools have to say about my visits. “It was one of the best author visits we have ever had. Thank you especially for the enthusiasm, your positive outlook and most of all the time you were able to give to our students, which is what many of our students are deprived in. The students were really engaged with what you had to say. You really connected with the groups, especially the Year 9 students. The cracking powerpoint, the evocative film, and your own story which was somewhat different from the career orthodoxy preached at the school. 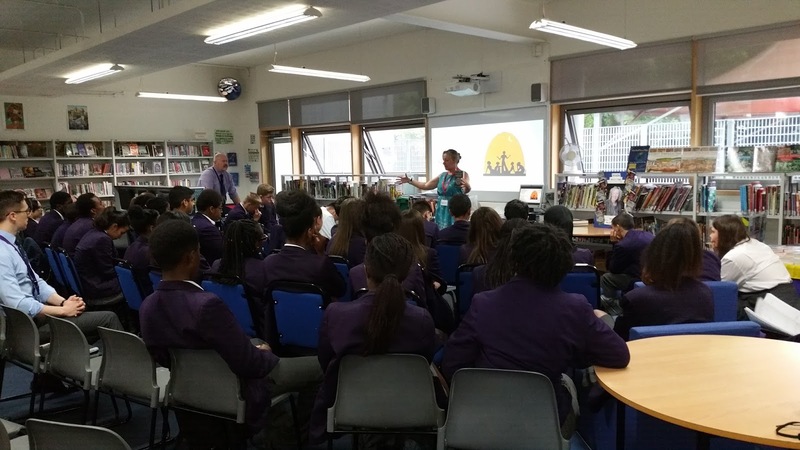 “The visit of author Moira McPartlin last week was a very successful event, students enjoyed to discuss the writing process for her latest book and to compare the futuristic story of the book with developments in nowadays society. Mrs McPartlin was very friendly, approachable and positive and the event encouraged students in their own reading and writing. “Thank you for giving your valuable time to our students. It was an excellent presentation. I must say, we cannot replicate the wealth of experiences you presented to the students. I am sure they will remember your presentation and it will be a source of inspiration as they pursue their education at Walworth Academy. Your contributions make an incredible difference and we greatly appreciate you! I was delighted to be invited into Forth Valley College as guest tutor on their Passport to Business Programme. Here are some comments from a few students who participated in the session. 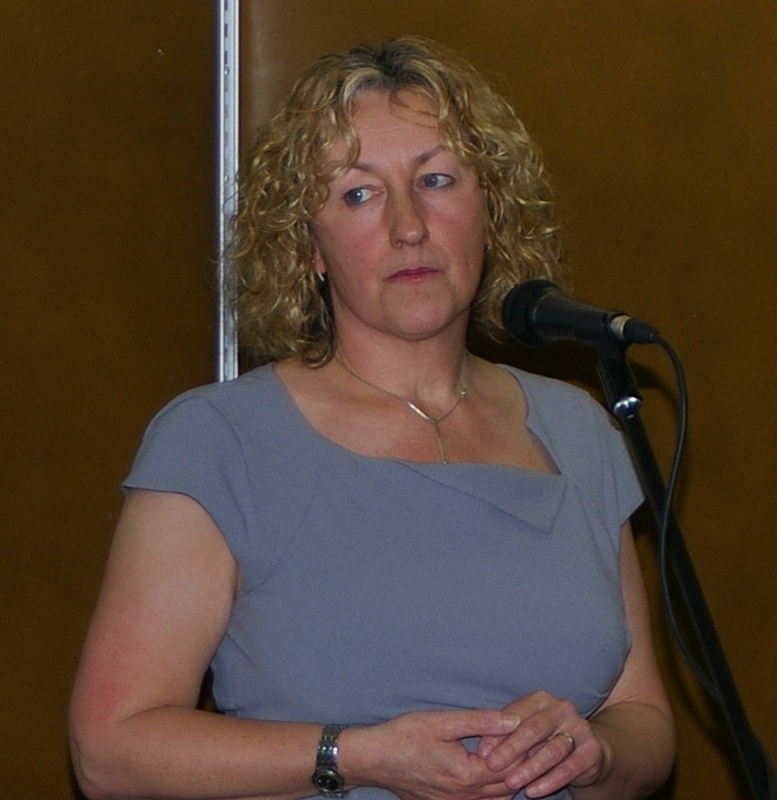 I am also available for book festival, library events, bookgroups and creative writing workshops. Please note I am listed on the Scottish Book Trust Live Literature Data Base. You can view my profile here.